“The International Science and Technology Conference (ISTEC)” series is an international educational activity for academics, scientists and educators. The main goal of this conference is to present and discuss new trends in science and technology. ISTEC-2011 conference is supported by many universities and organizations, and it is venued by Istanbul University where the academic culture has long been a tradition. ISTEC-2011 has already formed a large, multi-national and friendly community of colleagues who love to share ideas. ISTEC-2011 invites you to submit proposals for papers, panels, best practices, roundtables, tutorials, posters/demonstrations, and workshops. Last year, ISTEC-2010 received almost 260 applications. The conference academic advisory board accepted 170 appilications. This year ISTEC-2011 will be organized at Istanbul University between 07-09 December 2011. InSITE: Connect consists of study in various locations on the transmission of information across time and space by focusing on the interrelationship between context (historical forces and culture) and information/knowledge transfer. InSITE: Inform solicits papers in any area that explores issues in effectively and efficiently informing clients through IT (information technology. The purpose is to encourage and enable the sharing of knowledge and collaboration among the wide variety of fields that use information technology to inform clients. Here are some of these areas: Communications, Community and Society, Computer Science, Data Communications, Distance Education, eCommerce, Education, Government, Health Care, Human Resources, Medicine, History, Information & Library Sciences, Journalism, Justice and Law, Mathematics, Management, Psychology, Public Policy, Sociology, Technology, and Working Together. InSITE: TeachIT focuses on research topics related to teaching IT, including curricular issues, capstone courses, pedagogy, and emerging topics in IT. Papers that cover research in Information Technology Education, such as Curriculum and Techniques for teaching IT are invited. InSITE: TeLE focuses on research topics related to using IT to teach. For example, these topics include e-Learning, m-Learning, making classroom teaching more effective, and distance learning. Papers that deal with any aspect of knowledge, e-asessment, eLearning, eportfolios, distance education, instructional technologies, mLearning, and learning objects (theory, practice, innovation, & research) are invited. Join the International Board of Reviewers: If you have time in December to provide mentoring reviews of three submissions, please see http://volunteer.InSITE.nu. Reviewers earn a conference registration discount. InSITE THE FRIENDLY PROFESSIONAL CONFERENCEWe are a conference where colleagues mentor their colleagues, drawing together those who teach, research, and use information technologies (regardless of discipline) to share knowledge with others on how best to use IT to inform clients. But it is not just science and the creation of knowledge. The day following the conference the Montreal Jazz Festival starts with its 800 concerts — two-third of which are free — and 600 activities, from noon to midnight! The Maine Women Writers Collection at the University of New England in Portland, Maine, solicits applications for its Research Support Grant Program. These grants are intended for faculty members, independent researchers, and graduate students at the dissertation stage who are actively pursuing research that requires or would benefit from access to the holdings of the Maine Women Writers Collection. MWWC Research Support Grants will range between $250 and $1000, and may be used for transportation, housing, and research-related expenses. Questions may be directed to Cathleen Miller, MWWC Curator, at (207) 221-4334; cmiller10@une.edu. Deadline for receipt of applications: December 2, 2011. In a recent article in American Archivist, a group of some two-dozen archival faculty and doctoral students from programs around the world called on archival educators to develop a new educational framework that both reflects and reflects upon pluralist approaches to archival theory and practice.1 This article added to an ongoing conversation in archival education regarding the ethical imperative of faculty to engage students with culturally sensitive curricula and to promote a social justice agenda in and outside the classroom. At the same time, a growing body of archival studies literature has addressed the intersection of archives and human rights, interrogating the role of records and recordkeeping institutions in both facilitating human rights violations and holding oppressive regimes legally and historically accountable for such violations. This special issue of InterActions seeks to bring together these two streams of archival thought in hopes of explicating the role of human rights and social justice in archival education. How are we to conceive of human rights at the nexus of archival education, research, and action? What ethical responsibilities do archival educators have in addressing human rights concerns in the classroom? What pedagogical strategies might educators employ in order to include discussions about human rights and archives within the context of professional training and practices, and the theories that undergird them? InterActions seeks to include a range of submissions, including (but not limited to) research articles, literature reviews, book reviews, exhibition reviews, featured commentaries, and position pieces. Submissions should incorporate critical perspectives that aim to bridge multiple discourses around the theme of the issue. All submissions will be subject to double-blind peer-review and authors are expected to adhere to the deadlines to ensure the timely publication of the special issue. – How might “human rights” be defined in the context of archival education? What are the opportunities and difficulties of adopting an orientation toward human rights in archival education? – What is the relationship between a social justice agenda and a human rights framework in the archival classroom? What roles might information technologies play in working toward classroom agendas for extending and supporting human rights? – What theoretical positions might be taken up when considering the current and future state of research in the domains of human rights and archival education? – What philosophical, pedagogical, political, and/or ethical questions are at play that might provide opportunities for strategic action? – How might archival educators incorporate human rights genealogies and/or frameworks? – What are the implications of globalization on discourses on human rights in archival education? – How might archival education and/or human rights intersect with the roles and responsibilities of educational institutions within the public sector? InterActions is a peer-reviewed on-line journal committed to the promotion of interdisciplinary and critical scholarship. Edited by students in the UCLA Graduate School of Education and Information Studies, the journal brings together senior and emerging scholars, activists, and professionals whose work covers a broad range of theory and practice. InterActions is published twice yearly with funding provided by the UCLA Graduate Students Association and the UCLA Graduate School of Education & Information Studies. For more information, please visit http://escholarship.org/uc/gseis_interactions. The School of Information Studies at the University of Wisconsin-Milwaukee is accepting applications for a one-year Postdoctoral Fellowship in Information Organization to begin in 2012. The information organization fellowship is designed for recent PhDs who are interested in knowledge and/or information organization. We are seeking candidates with research and teaching interests in a range of topics or applications including but not limited to classification theory, domain analysis, ontology and epistemology, resource description, metadata, information architecture, taxonomies, ontologies, tagging, and/or the Semantic Web. Applicants interested in cultural perspectives and/or collaborative research are particularly welcome. Along with continuing their own research agenda, the fellow will work closely with the Information Organization Research Group and affiliated faculty, work with current PhD students, assist in coordination of related events, and participate in the academic and intellectual community of the School. The fellow will be expected to teach one class in each of the fall and spring semesters. The stipend for the fellowship will be $38,000 for a 12-month appointment with a $2,000 research and travel stipend. The starting date is January 6, 2012. Fellows are eligible for benefits. – Applicants must be scholars who are not yet tenured and who are no more than 3 years past receiving their PhD. – Applicants must hold a PhD in an information studies or related discipline. Applicants who do not yet hold a PhD but expect to have it by January, 2012 will be asked to provide a letter from their home institution corroborating the degree award schedule. – Application packages must include: letter explaining the applicant’s research agenda for the postdoc year, teaching interests, and appropriateness for the fellowship; curriculum vitae; writing sample; and the names of 3 references. – Applications received by October 31, 2011, will receive priority consideration. Are you doing something new and innovative at your academic library? 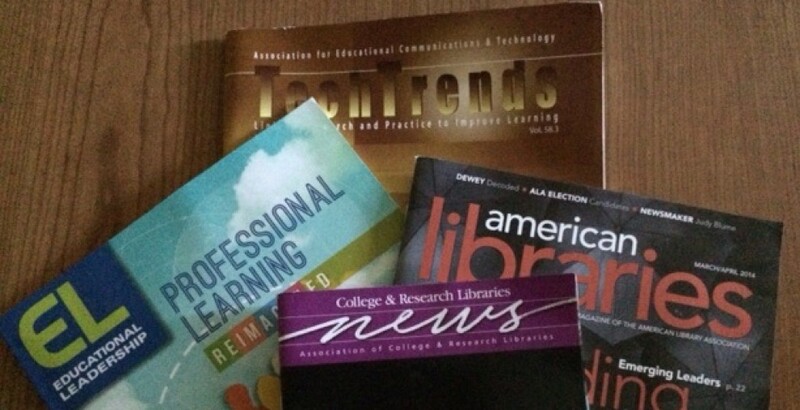 Have you recently researched a new and exciting trend in the academic library world? Are you looking for an opportunity to be published in the library literature? If so, please consider submitting an article to the “It’s Academic” column of the PaLA Bulletin. This publication is indexed in the Library Information Science & Technology Abstracts (LISTA) database. Articles generally range in length from 1,000 to 2,000 words and should report on an issue that is relevant to academic librarians working in Pennsylvania. We are pleased to host the Technology Conference this year at the University of California, Los Angeles, USA. Los Angeles is a world economic center of business, science and technology as well as entertainment, art, media and culture. With its diverse mix of industry and innovation Los Angeles is the ideal place to discuss Technology and Society. This cross-disciplinary conference is attracting scholars from all backgrounds, all over the world. It is a meeting point for technologists with a concern for the social, and social scientists with a concern for the technological. The focus is primarily, but not exclusively, on information and communications technologies. Presenters may choose to submit written papers for publication in the fully refereed International Journal of Technology, Knowledge and Society. If you are unable to attend the conference in person, virtual registrations are also available. Visit our website for more information about the conference, our submission process and this year’s themes, to sign up for our monthly e-newsletter, and to become an active member of our community. It is all available at: http://www.Technology-Conference.com. The deadline for the next round in the call for papers (a title and short abstract) is 11 October 2011. Proposals are reviewed within two weeks of submission. Be sure to submit and complete registration as spaces are filling up quickly. We look forward to receiving your proposal and hope to see you in Los Angeles in 2012. Are you looking for an opportunity to learn the latest theories and practices in gifted education? To network with like-minded people? To interface with advocates and affiliate leaders, educators and parents? To enhance your personal creativity? Please join us . . .
corporations; health departments; and departments of social service as well as community-minded individuals and parents. We are seeking presenters on a broad range of topics related to adolescent health and wellness to include but not limited to teen pregnancy and STD prevention, teen parenting, obesity prevention, adolescent LGBTQA issues, drug/alcohol use among teens, mental health issues and teen consumers, etc. Participants will be interested in workshops that offer concrete ideas,methods, and resources that they can incorporate into their own programs. I have been contracted to do a book on the future of automation in the academic library by IGI Publishers. The working title is “Robots in Academic Libraries: Advancements in Library Automation,” and it will be part of the book series, Advances in Library Information Science (ALIS). The book will be 15+ chapters, with a total of at least 135,000 words. I am looking for contributors to write individual chapters at around 10,000 words. The specific subjects are the increasing and future automation of the following areas of the academic library. Additionally I am looking for very high level chapters that look at automation in academic libraries in conjunction with changing University environments as well as the changing needs of students and faculty. Other chapters dealing with this subject are also highly desirable. Finally I would like to see some short case studies for any and all of these. Please contact me directly at edward.iglesias@ccsu.edu.